Global demand for energy is rising. Today, 80% is met by burning fossil fuels (oil, coal and gas). Will demand go on rising? Will fossil fuels continue to dominate? Will concerns about climate change lead to a transition to renewable energy, or will it happen anyway as the cost of solar and wind energy falls? Will all cars be electric in the future? These are hard questions to answer. In 1900, only 22% of – the very small number of – cars in the USA were powered by internal combustion engines (while 40% were driven by steam, and 38% were electric): who would have guessed that gasoline powered cars would soon become dominant? 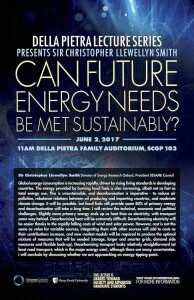 Could we be on the verge of similar rapid transitions in the production and use of energy?. • Helping to stem and reverse the brain drain that is holding back science education and research in the region. I will begin by describing the role that CERN played in bringing peoples together and building scientific and technical capacity in Europe. 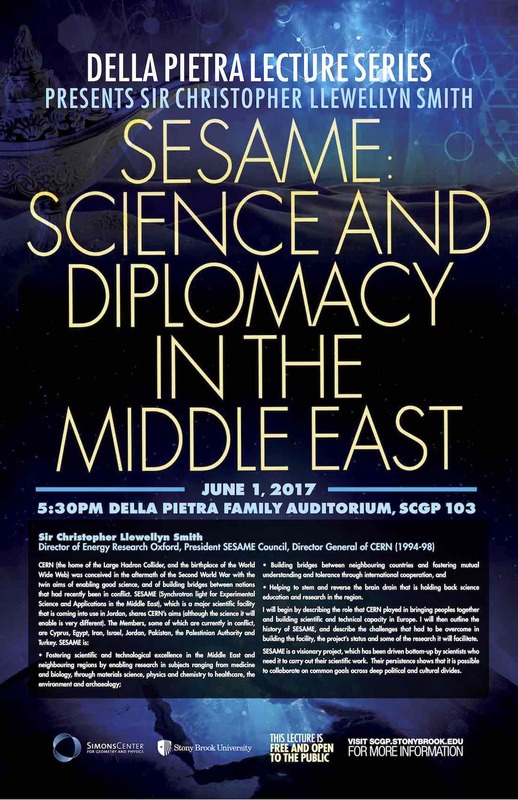 I will then outline the history of SESAME, and describe the challenges that had to be overcome in building the facility, the project’s status and some of the research it will facilitate. 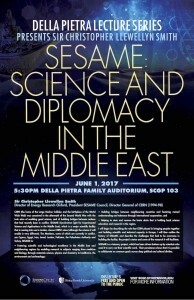 SESAME is a visionary project, which has been driven bottom-up by scientists who need it to carry out their scientific work. Their persistence shows that it is possible to collaborate on common goals across deep political and cultural divides. 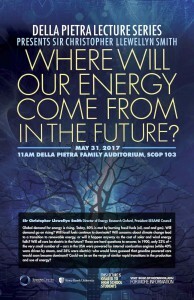 Global energy consumption is increasing rapidly, driven by rising living standards in developing countries. The energy provided by burning fossil fuels is also increasing, albeit not as fast as total energy use. This is unsustainable, and decarbonisation is imperative – to reduce air pollution, rebalance relations between oil producing and importing countries, and moderate climate change. It will be possible, but fossil fuels still provide some 80% of primary energy and decarbonisation will take a long time. I will review the technical, economic and political challenges. Slightly more primary energy ends up as heat than as electricity, with transport some way behind. Decarbonising heat will be extremely difficult. Decarbonising electricity will be easier thanks to the rapidly falling costs of wind and solar power. However, cost is not the same as value for variable sources, integrating them with other sources will add to costs as their contributions increase, and new market models will be required to produce the optimal mixture of measures that will be needed (storage, larger and smarter grids, demand side measures and flexible back-up). Decarbonising transport looks relatively straightforward (at least road transport, which is the major energy user), althoughthere are many uncertainties. 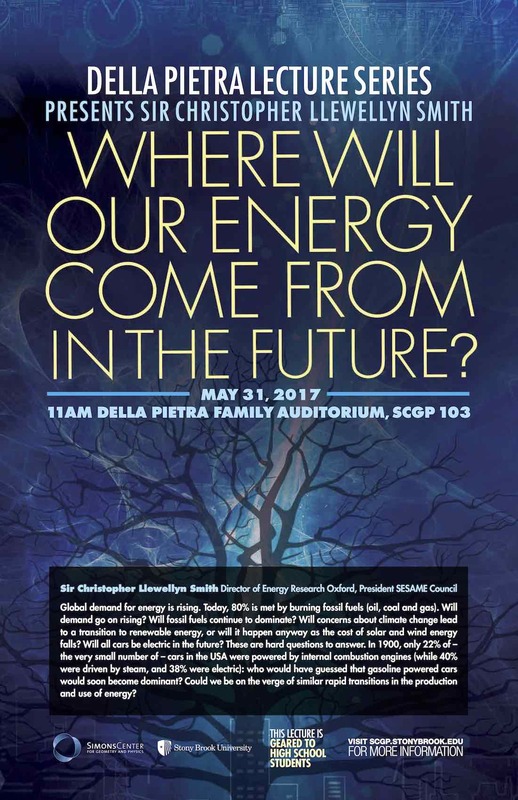 I will conclude by discussing whether we are approaching an energy tipping-point. 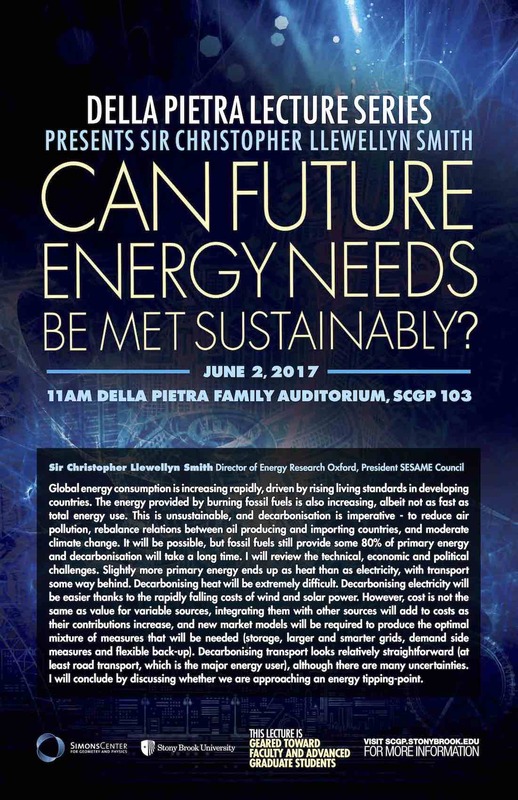 Sir Chris Llewellyn Smith is the Director of Energy Research Oxford, President SESAME Council (Synchrotron light for Experimental Science and Applications in the Middle East) (November 2008-May 2017), and a Visiting Professor in the Oxford Physics Department. He was Director of UKAEA Culham (2003-2008), with responsibility for the UK’s fusion programme and for operation of the Joint European Torus (JET), Provost and President of University College London (1999-2002), Director General of CERN (1994-1998), and Chairman of Oxford Physics (1987-1992). After completing his Doctorate in Oxford in 1967, he worked briefly in the Lebedev Physical Institute of the Academy of Sciences in Moscow, before spending periods at CERN and the Stanford Linear Accelerator Center, after which he returned to Oxford in 1974. As Director of UKAEA Culham he developed and vigorously promoted the ‘Fast Track’ approach to the development of fusion power, which was officially adopted by the European Commission. During his mandate as Director General of CERN the Large Hadron Collider (LHC) was approved, construction started, and major contributions from Canada, India, Japan, the Russian Federation and the USA were negotiated, and CERN’s flagship Large Electron Positron collider (LEP) was successfully upgraded. As a theoretical particle physicist he worked mainly on the quark model and the theories of the strong and electro-weak forces, and how they can be tested experimentally. His contributions include developing ways to demonstrate the “reality” of quarks and gluons (the particles that transmit the string force that holds quarks together) in highly inelastic electron and neutrino scattering experiments, and showing that mathematical consistency requires any theory of the weak interactions to be based on a spontaneously broken gauge theory (list of publications). He was Chairman of the Council of the world fusion project ITER (2007-09), the Consultative Committee for Euratom on Fusion (2003-09), the Advisory Committee on Mathematics Education (2002-04), and the CERN Scientific Policy Committee (1990-92), and has served as a Vice President of the Royal Society (2008-10) and on numerous other national and international advisory committees, including the UK Prime Minister’s Advisory Committee on Science and Technology (1989-92). 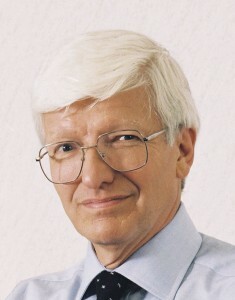 Chris Llewellyn Smith has written and spoken widely on science funding, international scientific collaboration and energy issues. His scientific contributions and leadership have been recognised by awards and honours in seven countries on three continents.